Whether you consider yourself a “gamer” or not, you probably are. The human ability and desire for play is a powerful one, and the video game community has never been more diverse or accessible. It’s not just for kids, and gaming doesn’t have to be at odds with adult responsibilities, like building a career or being a parent. In fact, many parents have found gaming to be a great way to bond with their kids as they get older, just ask American actor and former football player Terry Crews! Studies have shown gaming can help us develop better social intelligence, improve cognitive function and hand-eye coordination, heal from trauma, and even save the world. Think I’m joking about saving the world? There’s a TED talk on it. Don’t have a console or a tricked-out gaming PC? That’s okay, because Windows 10 has built-in gaming features that make it easier than ever to play games on any PC and share your experience with friends. Don’t worry, we’ll make a seasoned gamer out of you in no time! There will be two parts to this introduction to gaming on Windows 10. First, we’ll go over some of the features that make Windows 10 such a great platform for both new and experienced gamers. In part 2, we’ll cover how to get started in a few easy steps! Some games available to play on Windows 10 and Xbox One are Xbox Play Anywhere titles. This means that when you buy the game it’s yours to play on both PC and Xbox platforms at no additional cost. To take advantage of Xbox Play Anywhere, you’ll need to have the most up to date version of Windows 10 on your PC. Open the Start menu –> Settings -> Update & Security, then select Check for Updates to automatically find, download, and install the latest Windows updates. Once you have the game installed on one platform, simply log into your Microsoft account and your Xbox Play Anywhere games will be available to download. 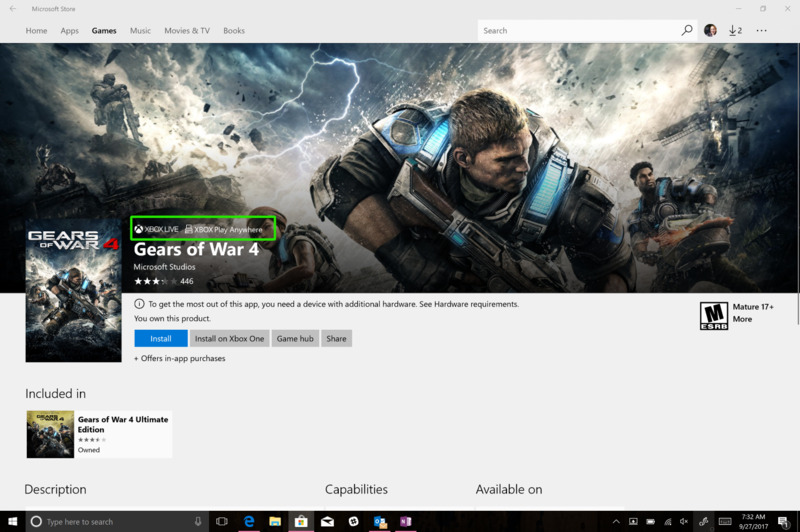 On your Windows 10 PC, games will appear in “My Games” in the Xbox app – accessed by clicking the icon circled in green below – or “My Library” in the Microsoft Store app. 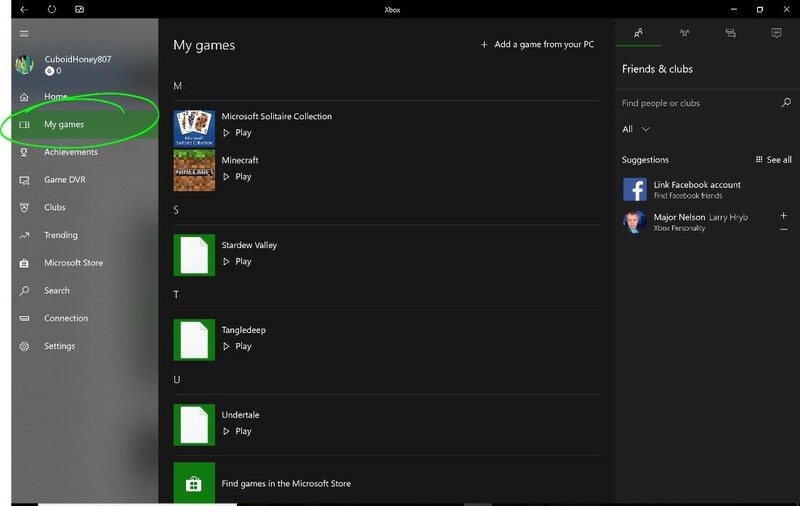 These games will be marked with the Xbox Play Anywhere icon in the Microsoft Store, and a full, up-to-date list can always be found at www.xboxplayanywhere.com. One of the most important things for new gamers to understand is the relationship between your games and your PC, when it comes to performance and compatibility. Windows 10 has some great built-in features that will ensure the best possible experience for the machine that you have, however, some games require much more sophisticated hardware than the average consumer PC. Many games can be played on any modern machine – in other words, if you are running Windows 10, you can run a game such as Minecraft. If you’re playing lots of modern action or shooter games like Gears of War, you’ll need a higher-powered processor or CPU and a dedicated graphics card or video card. The Microsoft Store app includes System Requirements in each game’s description. Minimum requirements, which you can see on the left in the images below, are non-negotiable – if your PC doesn’t meet them, the game will not successfully run. Recommended system requirements, seen on the right below, are what you need to have the ideal experience in terms of how good the graphics look and how smoothly it will run. The first set of requirements below are for Gears of War 4, and the second set correspond to Minecraft for Windows 10. You will notice they are quite different! Minecraft can run on just about any up-to-date Windows 10 PC, while Gears of War needs a dedicated graphics card, as well as a specific level of processing power and memory. 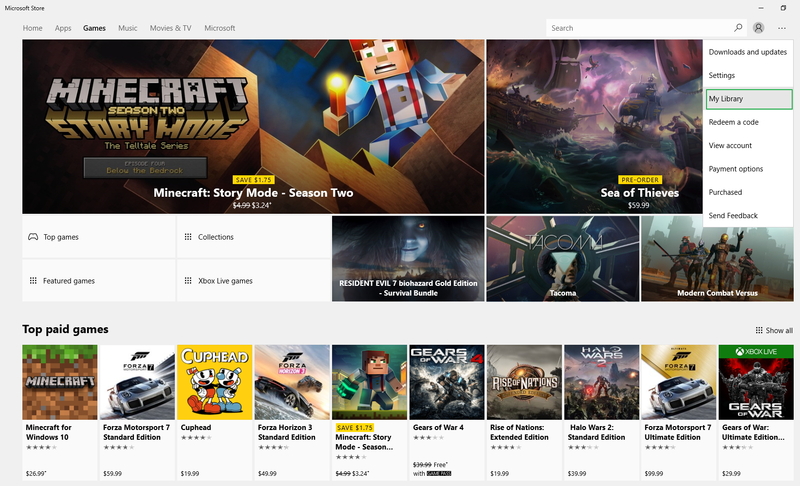 One of the benefits of downloading games through the Microsoft Store is that it does the work for you of checking compatibility between your PC and the game you are viewing. Each requirement will have a corresponding green checkmark or red X. All green checkmarks means that the game will run fine. If any of the categories or descriptions above are confusing or you’re scratching your head over all of this hardware jargon, Xbox has an excellent support page that goes into more detail, and explains how to compare your PC to a given set of system requirements. The last thing you may want to do before you begin playing is turn on Game Mode: Select the Start button, then select Settings -> Gaming -> Game Mode, and then toggle it on. This will optimize your PC’s processor and graphics card so that the game you’re running is prioritized and resources are directed to give you a smooth and consistent experience, every time you play – regardless of what’s running in the background. Note: this will not boost performance enough to overcome a gap (red X) between system requirements and the hardware you have. Once you’ve started playing, you can share the fun! When you start up a game, you may automatically be prompted to open the game bar by using the keyboard shortcut Windows logo key + G. Once open, you can take an in-game screenshot, record your play, and even begin streaming to Mixer to allow your friends and fellow gamers to watch your epic wins in real time! Now you've got all of the basics down, and you are ready to get your game on! Have fun and don't forget to tell us all about it in the comments!